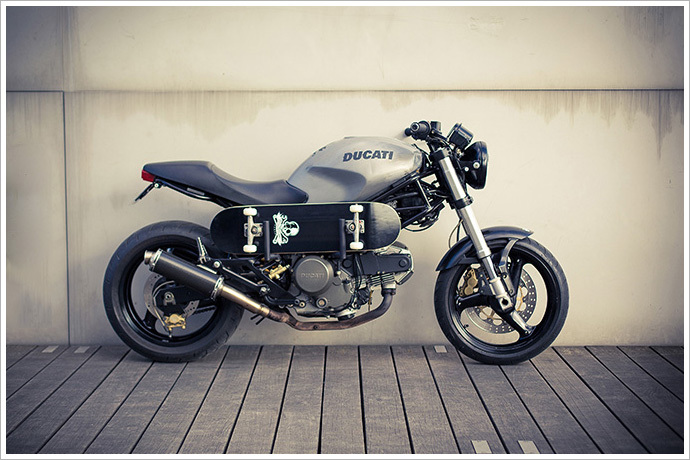 What’s better than a Ducati Sport Classic 1000? 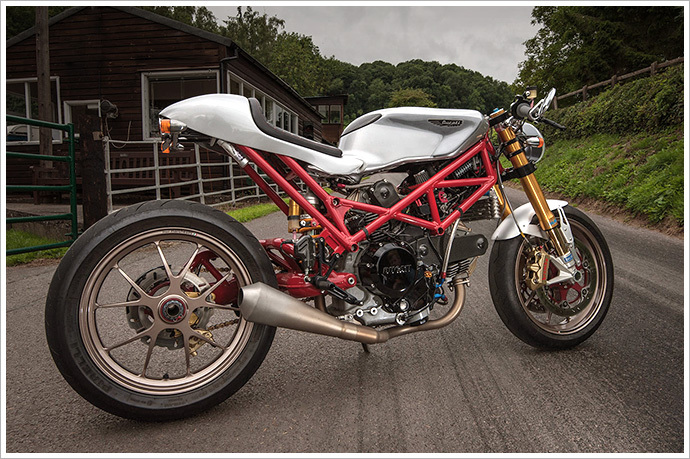 A Ducati Sport Classic built by an ex World Super Bike/Moto GP mechanic. It doesn’t get much better than that. This machine has an amazing mix of aesthetics and power that just whispers seductively in your ear: ‘look at me’. 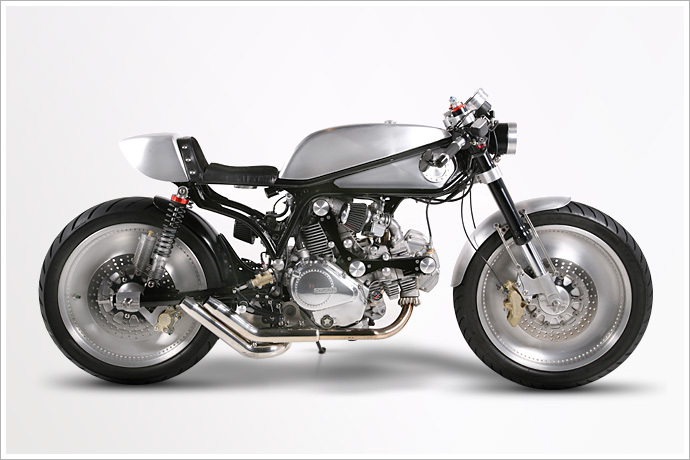 Over 10 years experience on the European racing scene, including some time at the Ducati factory, has culminated in today’s feature bike: Corse Motorcycles‘ rework of the 2006 Ducati Sport Classic. What’s the opposite of a motorcycle? Have a think about it. Bikes are small, nimble, rebellious, noisy, spiritual and exciting. Now think of something monolithically large, very conservative, whisper quiet, painfully intellectual and about as exciting as a book by Martin Heidegger. That’s right, i’m talking about Universities. Naturally, you’d think that the two would have absolutely nothing in common. But you’d be wrong. The bike you see before you exists because of a university. Namely, Madrid’s Instituto Católico de Artes e Industrias, which accepted a request from one of its students to build a bike for a final year project. 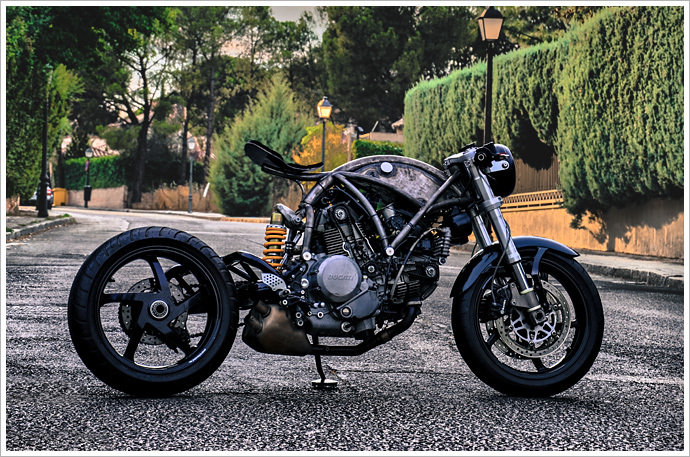 That student was Manuel Ayllón, and the bike is probably the most amazing Ducati you’ll see all year. They call them ‘parts bin specials.’ They’re the bikes that have been thrown together from all the leftovers that the other bike builders didn’t need. That old second tank. The spare rear shock. Your mate’s unused set of rims. The very thought of something built this way conjures mental pictures of a franken-bike; something that looks more like the result of a welder gone postal in a bike wreckers than anything that been done with any forethought or planning. But here’s a bike that goes a long way to prove that assumption wrong. So far, in fact, that the results look more like something you hope Ducati would build rather than something they’d run from in fright. 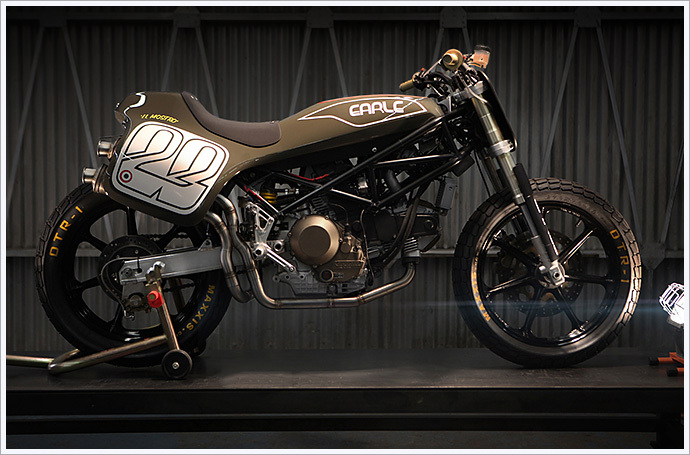 Meet engineer John Grainge and his Monster SR2 Café Racer. 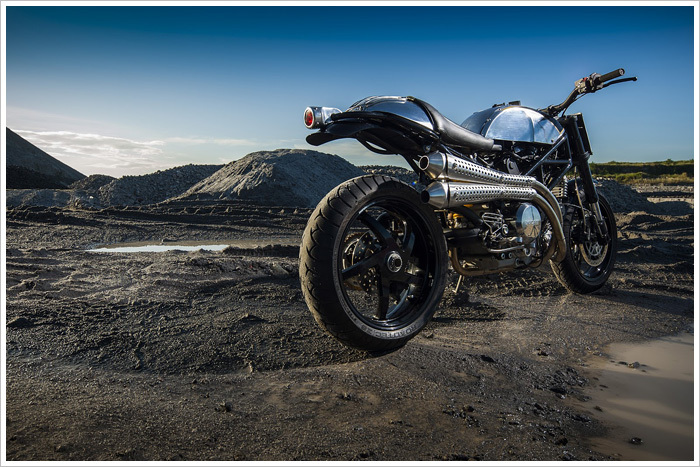 Hot on the heels of their recent AMD-winning Moto Guzzi Nuovo Falcone comes another killer bike from County Cork’s Medaza Cycles. 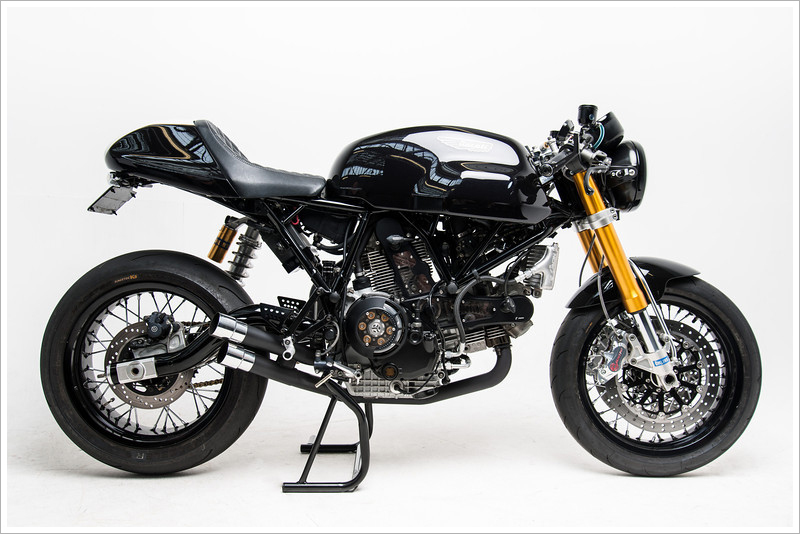 This time, Medaza front man Don Cronin has shifted his welding goggle gaze away from the metal of Mandello del Lario and towards the more southerly Italian town of Bologna and their Ducati Motor Holdings S.p.A. The result is this Pantah that has definitely had all traces of the plastic fantastic 80s removed from it and duly replaced with more cool than should legally be allowed for a single motorbike. We Ducafé – do you Ducafé too? Not all builds need be the equivalent of a heart transplant. Some are constrained by time, others by budget, and then there are those bikes that simply don’t need a complete overhaul to begin with. 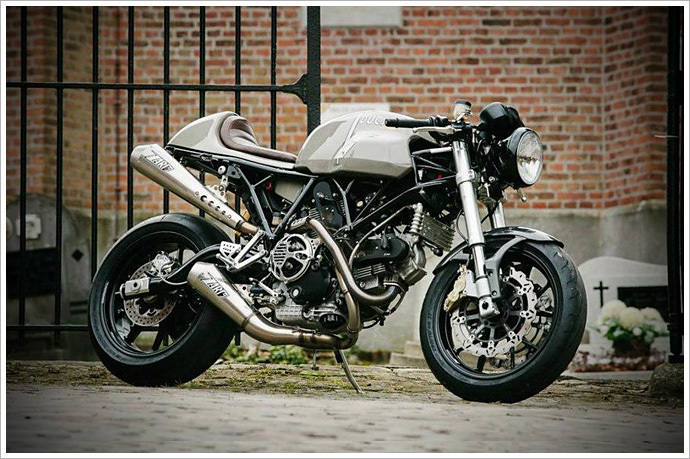 The team at Rive Gauche Kustoms faced a combination of the latter two recently when their web designer, Marco, handed them the keys to his perfectly serviceable Ducati Monster 600, and not a whole lot of cash. The Parisian crew have a fine record of street trackers, but this time the remit called for something different, a skate-influenced, pure streeter. So, with modest mechanical work and a slew of custom touches, a motorcycle facelift if you will, they turned out this ‘street trasher’. Some things I can’t bear the thought of parting with, because they might be of use at some point. At least that’s what I think every time I am in the shed and trip over my roof mounted taxi sign. Andy, of the Flying Hermans MC, thinks along the same lines, and this has culminated in this beautiful machine you see before you. 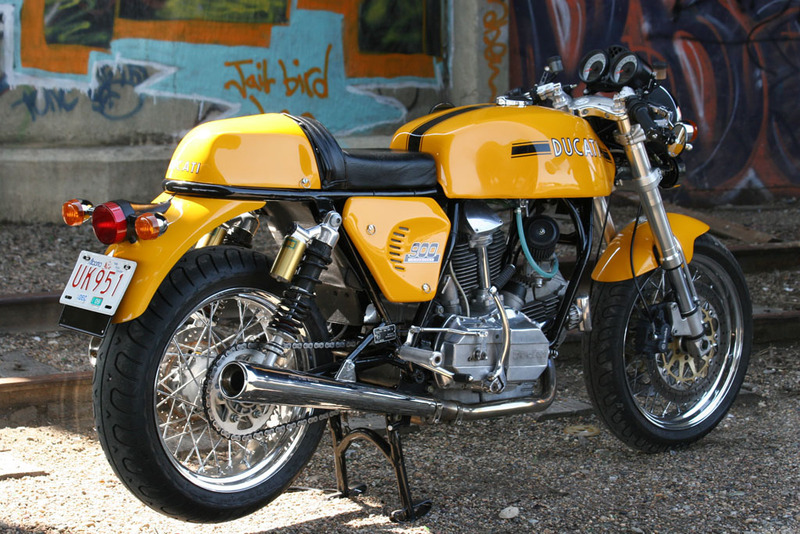 This Ducati Sport Classic 1000 has risen from the ashes, having been crashed, written off and rebuilt all in the space of one year. And it is better for the whole experience. The motorcycle industry needs more people like Rene Waters. Not in it for the money, but simply for the love of motorcycles. 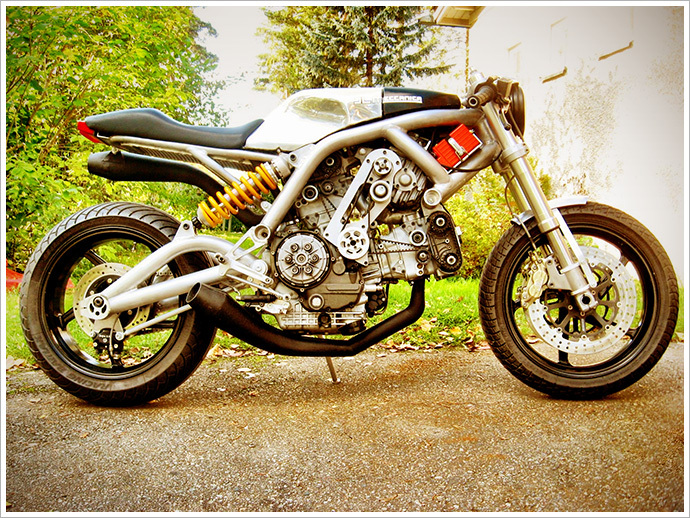 Rene runs the very impressive Ducati Meccanica, which is a website for Ducati enthusiasts. The site has one of the greatest collections of Ducati workshop and owners manuals, photographs and pretty much anything else that will help inspire you to build, buy or restore a Duc. The best thing is, he gives it all away for free, “no money is made, no ads are sold, nothing is for sale… just enjoy it” Rene says.